Reclaimed barn wood has a unique rustic appeal that can add charm to your home. Below are some tips for using barn wood to spruce up your interior décor. Be sure to purchase cleaned and treated barn wood. Old barn wood that has not been pre-treated can have nails or metal debris, mold, insects, dirt and dust. So, first thing to do is make sure that you are using cleaned and pre-treated barn wood from a supplier like John’s Lumber. This will eliminate the need for you to clean and prep it yourself which can take several hours. Use it for trim or moldings. Installing barn wood trim or moldings can add beauty and character to your home. You can use 1 in. x 6 in. barn wood or 1 in. x 4 in. barn wood as a trim around windows or doors. 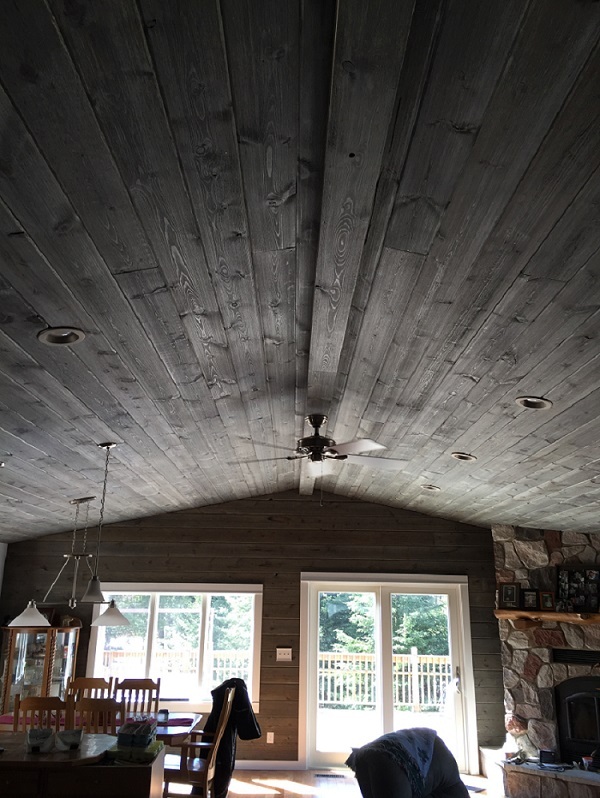 Many types of barn wood trim offer a great neutral tone that can work well and compliment all types of interior design. Using barn wood as mouldings along your floors or ceilings is another idea for a subtler rustic theme. Create unique accessories with barn wood. Barn wood can also be used for several types of home accessories such as frames for your photographs or art. You can construct small storage boxes from barn wood to place on tables or cut small squares to create rustic coasters. Another idea is to use barn wood as the backing for your coat hooks and installing it on the wall of your coat closet or mud room. Visit either of our stores in Clinton Twp. or Shelby Twp. to learn more about barn wood or to purchase.